On July 4th 2011 some friends invited us to their boat to watch the fireworks. I said it sounded like fun. I had no idea that our lives would be changed forever. We went to the boat and I was kind of amazed at how comfortable I felt on the boat. I had been on a few powerboats, and smaller boats, but never a 30 foot yacht. I walked around it and enjoyed the ocean breeze and the clean air. The motion of the boat was calming. The owners mentioned hat they were looking at a bigger boat and they were going to sell this one. I jokingly told my wife to write a check. In the back of my mind I thought that it would be cool to come out here regularly and hang out. I had no idea how much a boat cost, what a good boat is, or even how to sail it. I jokingly asked my wife how much they wanted for it. A few days later she told me the price…”Really?” is what I said…So we talked about it, thought it over, and I did my research on boats and decided to buy it. This is probably the most spontaneous thing we have ever done. We had no idea what condition it was in, how to maintain it, how to sail it, or where to put it. Didn’t matter, we bought it! Its a beautiful boat. It was made in 1975 but you would never know it. People that have seen it would guess it was maybe 10 years old, not 36. Having a 35 year old BMW I know that the build quality in the 70s was amazing, but how was the boat taken care of? We bought the boat knowing it needed a few things. We had it immediately taken to Balboa Boat Yard and it was taken out of the water. We were warned that they would probably find a laundry list of things to fix. When the boat yard called, they suggested 2 things. Fixing a bilge pump, and a flex pack…He said the boat was in amazing shape. Great news. The last thing we wanted to do was buy a boat that was constantly needing repairs. We got the boat back and it was all clean and shiny after being painted and polished and it was ready for adventure. One problem, neither of us knew how to sail! If you like this page subscribe on the left side of the page to stay updated on the continuing adventures of Cuajota! All clean and ready for adventure! Hey, Congrats on discovering sailing! You are right, it could very easily change your life! You have a great boat there; Very well built and fairly quick too. The Santana 30, like other race boats of the era, are a bit of a handful down wind in waves so be careful until you get to know her! Your yacht looks in great condition for her age. Well done; your story is not unlike our own. We bought our first boat earlier this year having never sailed before. With our first season just about over we’ve learned a lot. We still have a lot more to learn …but that’s part of the gig. Great looking boat and a very good sailing boat. I raced against one in MDR in a single handed round SantaBarbara Island race and was beaten by one (I in my Islander 36). Hope you got a good deal on the price. Cool! Yes I got a great deal! Great story! I sail in Newport out of UCI sailing club and will look for Cuajoto on the water. Congratulations on discovering sailing. Nice! Definitely keep an eye out for me…I am out at least twice a week. Congratulations! We did similar; read about sailing, bought a boat to learn, bought another one in Europe for holidays, have sold the first one. 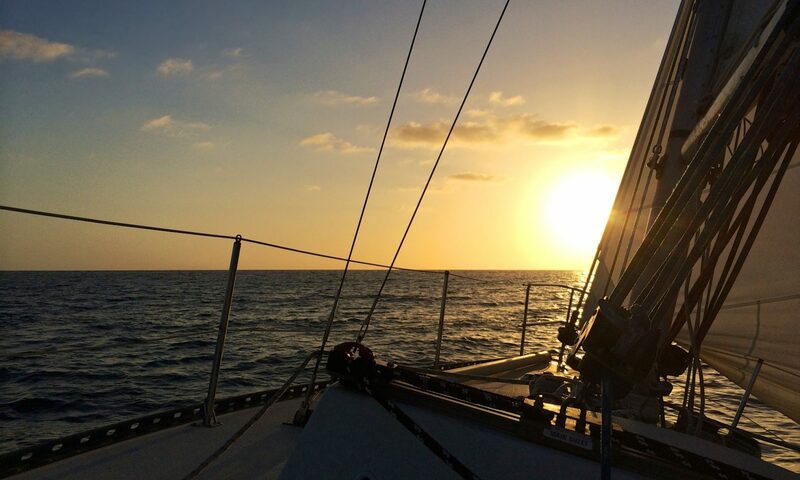 How to sail: motor out into the open water, leave motor running, pull up sails, turn off motor, see what happens. Best to have wind at right angles to boat but will sail at most angles except straight on and near that. Practise, practise, practise. Don’t sail at or near solid objects. Scared? drop sail and turn on motor. Greatest risk of hurt is getting back into mooring. If boat leans over too much let go of ropes. Easy peasy. 1. Get decent waterproofs but don’t spend a fortune. 2. Buy a thermal top. Being wet and cold is no fun and layers are easily removed/added. Thanks! It’s been 6 months already…I ave read many books cover to cover and then over and over again. I also have many sailing DVD’s I have…The Annapolis Guide to Sailing Series is very good…I have and wear offshore lifejackets anytime I’m out. I don’t harness, but I think I will get one for anything out too far. I have an autoupdating GPS app that sends my location out every 5 minutes to whoever I wish as an email. My wife knows if I am sailing, to keep track of my position and those updates…if they stop check on me! What an inspiring story! Congratulations and enjoy your boat. I myself bought on impulse a Santana 30 this summer. Mine is a 1980 that has been changed over the years, and I was really glad to finally some pics of the original design! You should definitely post some inside pics as well! Congrats! Where are you located? I found a few Santana 30s around but as far as a group or something it may be hard. There were only about 120 built in total from 1974-1980. I wonder how many are still out there sailing. I’d love to see pics! I’m in Quebec City, Canada. To my knowledge, I’m the only one with a Santana on this side of the coast… I’ve started a blog for our weekend trip if you want to take a look. Sorry though; mostly in french. But you’ll see some pics. I still need to do a proper gallery section with real inside/outside shots of the boat though. Mine is called Sputnik. Sailing on the Saint-Laurent river, a tricky piece of water to be on. 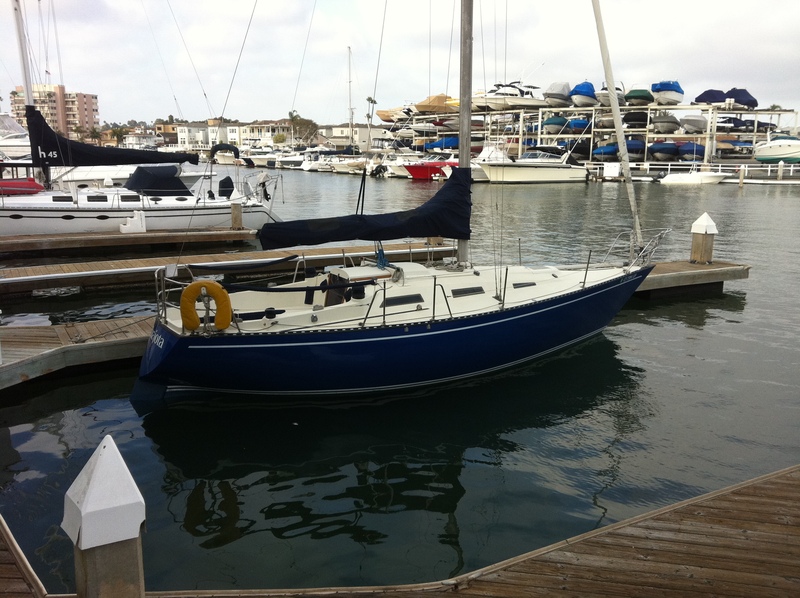 I’m looking for a boat for daily sails around San Diego and the occasional run to Catalina and Baja. One option I’ve found is a Santana 30-3. Are you still enjoying yours? Hey! It’s an amazing boat! Fast, easy to sail, offshore capabilities, comfortable. 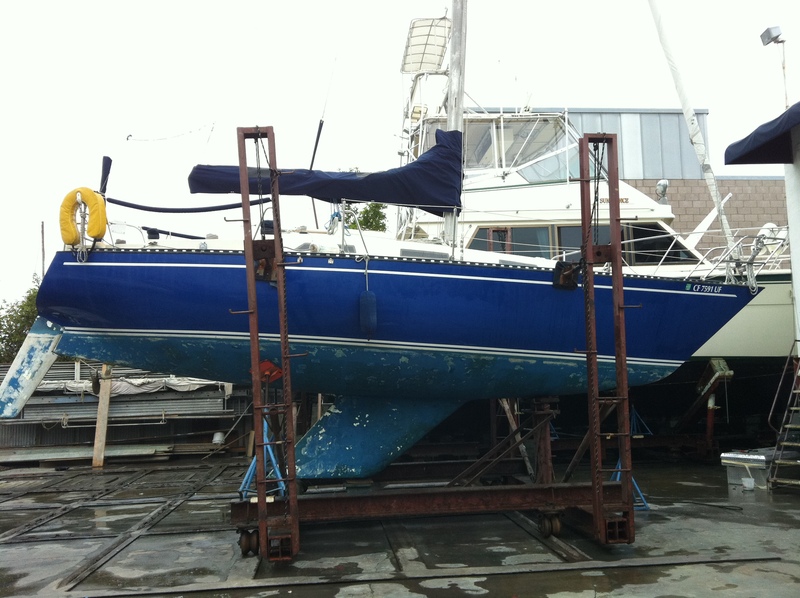 The Santana 30, Santana 30/30 and Santana 30GP are all similar enough they could all be part of one owner’s websote. As far as I know; there is a 30 on Shelter Island and one in Harbor island. However that has been the last couple years. I have a schock Santana 30 Facebook page if you would like to look it up. I’m gonna look it up! Thanks for the invite! Please post the link…I can’t find it. Would love to join!